Opened in 1999. Newly renovated in 2017. 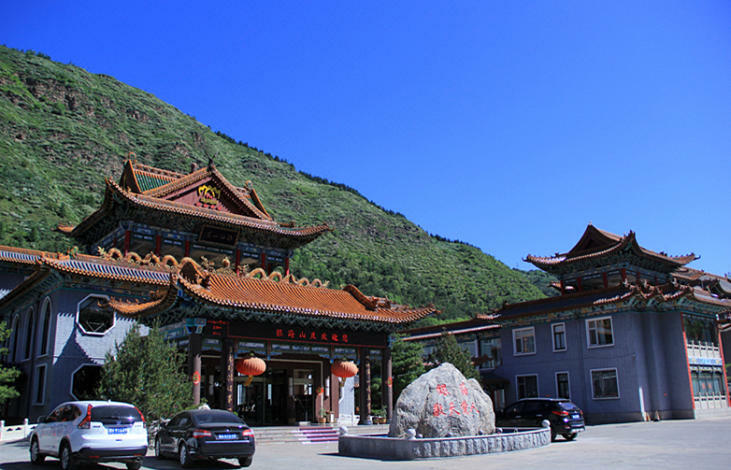 The 4-star Wutaishan Yinhai Hotel (Wutaishan Yinhai Shanzhuang) is located in Taihuai Town, adjacent to Taihuai Temple and Wutaishan National Forest Park. With architecture that features local ethnic styles combined with modern comforts, this hotel blends with the natural backdrop while offering a comfortable stay. The rooms of this Wutaishan hotel come equipped with bathtubs, mini bars, stereo systems, cable network TVs and modern conveniences. Diners can take advantage of the on-site dining options which provide an array of traditional Chinese dishes, while the hotel’s bars offer a great venue to relax after a day sightseeing. - 1.5Km to Wutaishan Coach Station. - 51.4Km to Wutaishan Railway Station. - 23.8Km to Taiyuan Wusu International Airport.